It goes without saying that no festival, celebration or ritual is complete without a sweet touch, in any part of the world. In India, be it the vedic India or even later on during the Mughal era right up to the present day “kheer” acquires a particular significance in Indian cuisine. 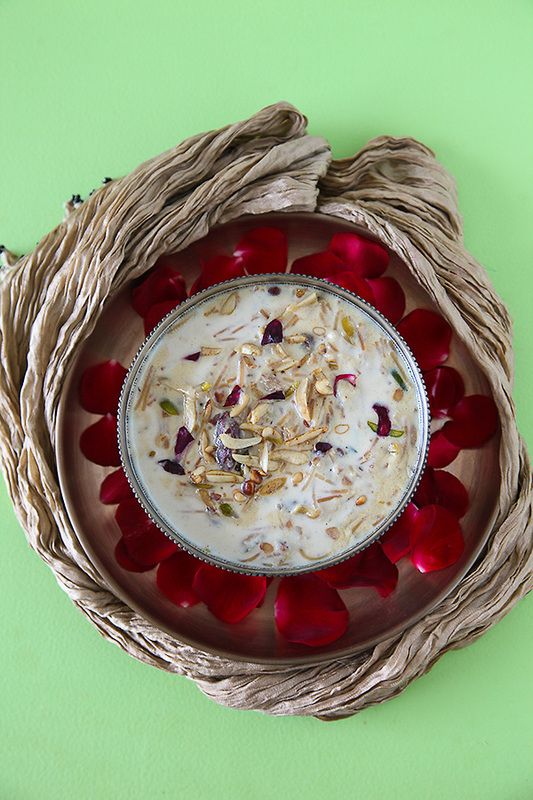 Kheer is comforting to most Indians, because of the familiarity it offers. It is a dish that most people would have grown up eating. It also gives solace and contentment as more often than not, kheer is associated with happy memories and food and memory always go hand in hand when one talks about “comfort food”. Kheer is a very important part of my festive menu and the most common and also the most important ingredient when it comes to making different types of kheer is sugar. Processed white sugar goes through many different processes which involves the use of chemicals like sulphur dioxide, phosphoric acid and calcium hydroxide. This processing apart from stripping sugar of its natural colour, also strips a lot of flavor only leaving the sweet element intact. This is where raw organic sugar comes into the picture. This goes through minimal processing and is packed with a lot of flavours, adding to a richer taste. 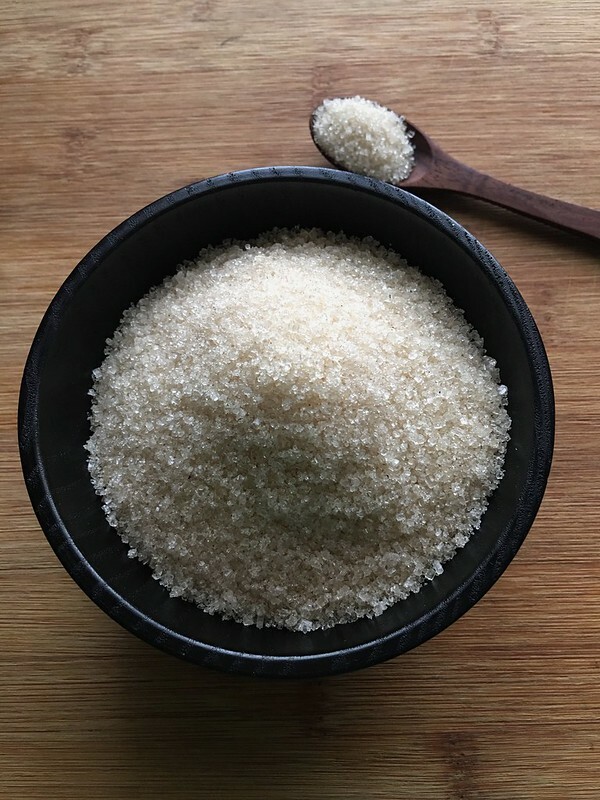 My larder is always stocked with a variety of different sugars starting from jaggery, to jaggery powder, demerara/brown sugar, icing sugar, white sulphurless sugar and organic raw sugar. And when it comes to organic raw sugar, I have been partial to 24 mantra organic sugar and many of their other products for quite a few years. When 24 mantra organic approached me for a collaboration, it seemed a great fit since I was already using many of their products. And as a strong believer and supporter of organic food, I’m happy to announce my association with 24 mantra organic where I will be showcasing many of their ingredients by using them in my recipes. You can find all the recipes of this collaboration under the category titled “organic mantras”. With organic becoming a fad these days, there are a lot of companies that have sprung up capitalizing on the word “organic”. I’m quite wary of buying any ingredient titled organic and a lot of research goes into deciding if the extra bucks being spent are worth their while. 24 mantra organic is a brand promoted by Sresta Natural Bioproducts Pvt Ltd and this is a company that has its processes right from the “seed to the kitchen” in place, to bring organic ingredients on our table. This involves seed selection, soil management, crop management, harvest, storage and distribution. What really appeals to me is that the company places a lot of importance to the well being of the farmer and a lot of its practices are centred around this aspect. Read all about the company here. 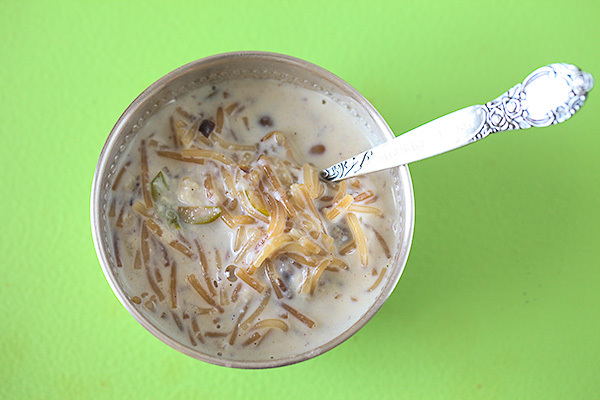 Sheer Khurma comes from the Sanskrit word “ksheer” which means milk and the urdu word “khurma” which means dates. A memory of sheer khurma that I would like to share is of the time when I was about 9 to 10 years old and was visiting my grandmother in Bangalore. 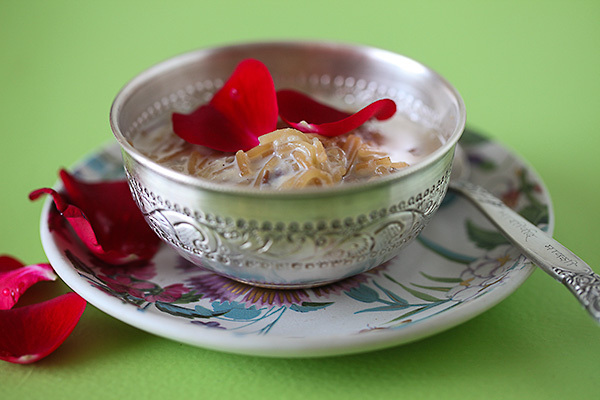 Her muslim neighbor had sent across “Sheer Khurma” in a beautiful white bowl with fluted edges. What had caught my attention then was the decorative arrangement of dry fruits over the kheer. My earliest memory of kheer is what my mother used to make. Seviyan kheer with milk, sugar, cardamom and saffron (at times) without any dry fruits. You take out the dates from sheer khurma and it becomes seviyan kheer. Seviyan kheer also known as sevai kheer or “shyavige payasa” in my native language kannada, is an important part of every ritualistic meal, also considered as an auspicious start to the beginning of a meal. For me shyavige payasa conjures up images of my mother stirring this up as an after school treat at times. And it also reminds me of those times, when I craved for this comforting bowl and amma lovingly made it for me. There is something primal about food and mothers that one innately ties to the other, isn’t it? My recipe for Sheer Khurma happens to be a popular recipe on my show "divine taste with anushruti" on YouTube. It is rich, creamy, indulgent and studded with the best dry fruits, making it superlative in taste and presentation. Food has the ability to bring in joy and enforce a feeling of well being and togetherness amidst people. Be it Eid or Diwali or any other celebration like a family get together or a party with friends, I hope that this recipe of Sheer Khurma will bring a lot of happiness into your lives. Disclaimer- This post is sponsored by the folks at 24 Mantra Organic. 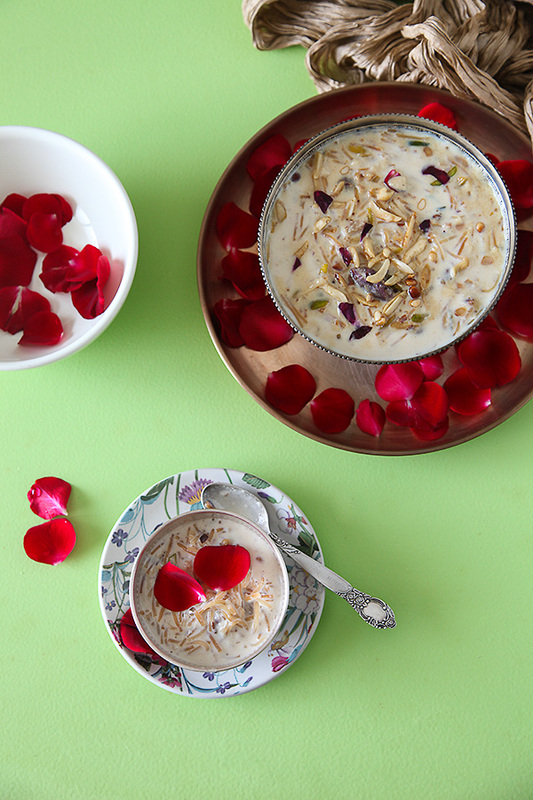 Sheer Khurma literally means "milk with dates" and is great for any festive occasion. You can skip the dates and/or any dry fruits mentioned here to make a simple version of seviyan kheer which is equally fantastic. Heat the ghee over a medium flame and once it melts, add the raisins and after they puff up, take them out and keep them aside.Add the deseeded dates and after they are roasted, remove them from the pan and keep them aside. 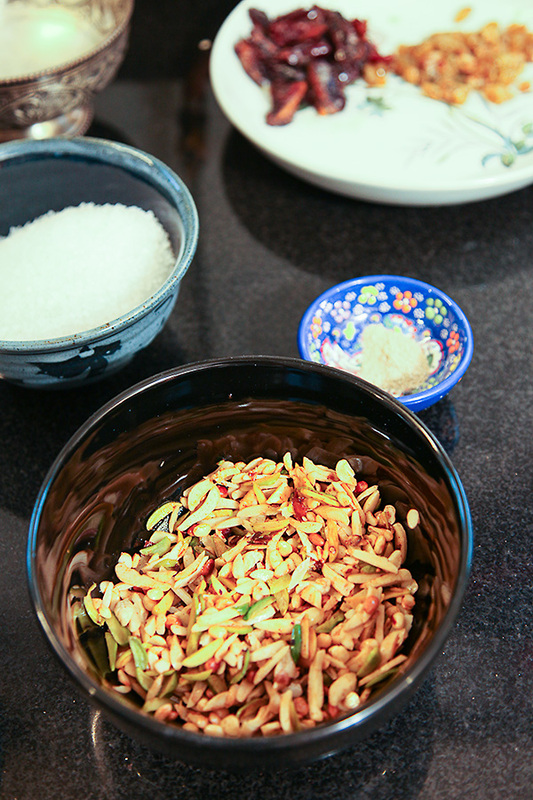 Next you need to put in the blanched and peeled cashews, almonds and pistachios and the charoli nuts, roast them for 2 to 3 minutes and then keep them aside. 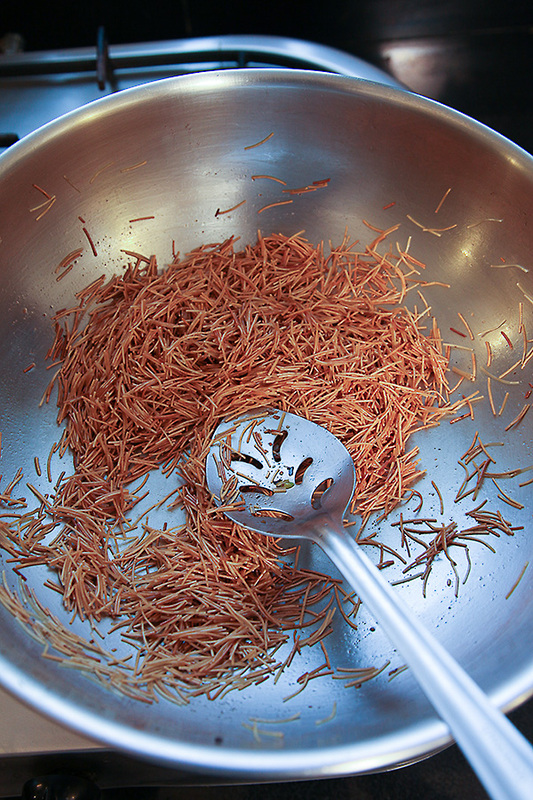 In the same ghee add the vermicelli or seviyan and roast on low heat until the vermicelli turns golden brown. Roasting the vermicelli nicely, intensifies the taste of the kheer. After the vermicelli is roasted, add th milk and allow it to come to a boil. 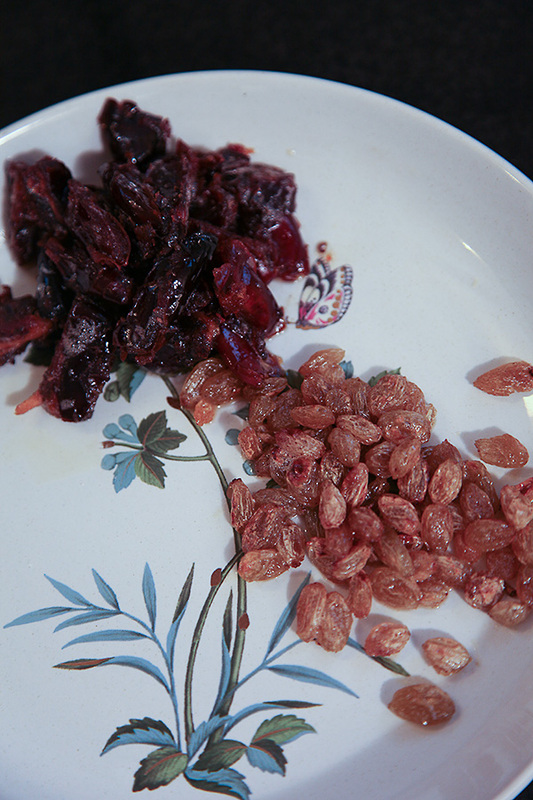 After the milk comes to a rolling boil, turn down the heat and add the raisins, dates and nuts. Cook the dry fruits and the vermicelli together in the milk for about15-20 minutes, until it becomes thick and creamy. Stir in the sugar and cook again for 4-5 minutes. Put in the cardamom powder and mix well. 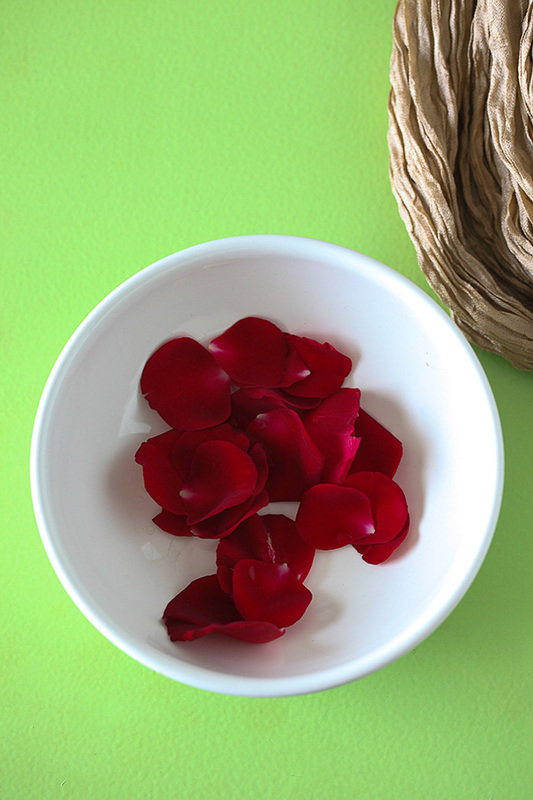 Garnish with dry fruits and rose petals. Thanks for the post! Yes, we tend to associate yummy, comforting food with our mum. I am also quite particular in making my favourite dishes exactly as my mum made, instead of looking for the recipe:)But I should try adding dates to the payasam. Lovely pics …gonna definetly try this ..
Angel- You will love it as a varaition. When you add dates to semiya payasam, it becomes sheer khurma. Mira- Thank you so much for your wishes. Wish you and your family a very happy dussehra as well. Vir- I like to use whole milk for all my recipes.